Very cheaply made and does not work, waste of money. I chose this because I have been wanting one and for the price. 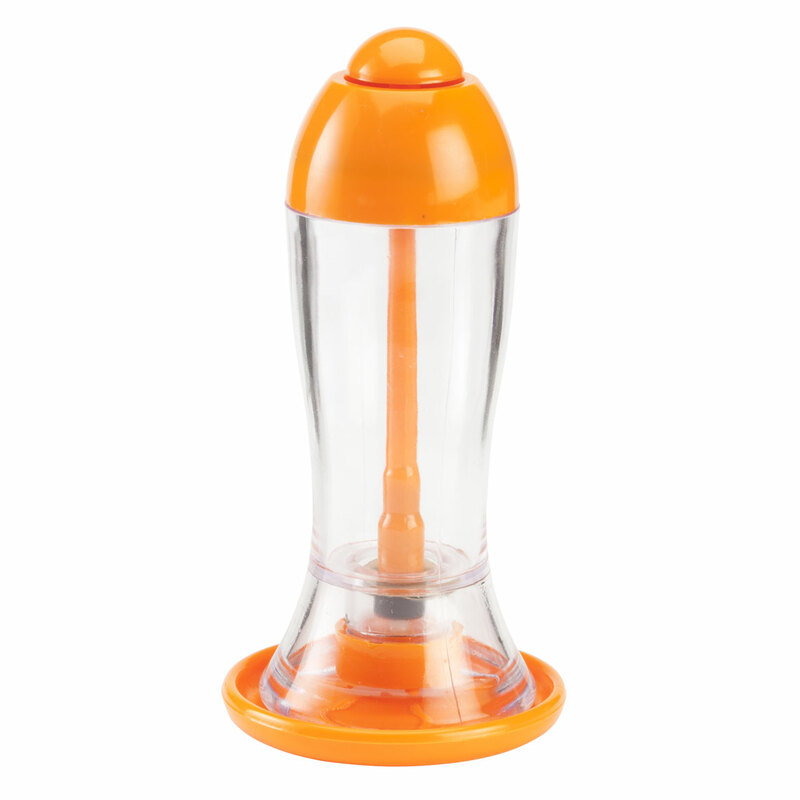 This oil pump with base will be easier to use, than pouring oil from the bottle. Need something to spray olive oil with.. I was wanting an oil spritzer. JUST TO HAVE AROUND THE KITCHEN. NEVER SEEN ONE BEFORE. This is for my wife and her love of fresh olive oil in her cooking. Much smaller than I thought. I gave it away. My daughter always pours too much oil on salads so this will help her out a lot! I have a new electric air fryer and most of the 'fried' oil free fried foods require a light 'spritz' of oil before starting the air frying process. So, I've purchased an 'oil spritzer'. do you have to turn the orange pieceat the bottom? I've tried everything but it just doesn't spray! BEST ANSWER: Thank you for your question. You need to pump the button on the top. We hope this information will be of help to you. How many times do I have to pump the button at the top before the oil sprays? BEST ANSWER: Thank you for your question. You will need to pump a few times to fill the line, then spray your food with as much oil as desired. We hope this information will be of help to you.